In the investigations of misconduct that we conduct at Worklogic, we often see power being misused in the workplace. People in powerful positions – thanks to their position in the hierarchy, links with the union or the founders, their ‘talent’ as rainmakers or apparently irreplaceable skills -sometimes let the power go to their heads . They can feel invincible, as if the rules don’t apply to them. The following three examples showcase power imbalance going wrong in the workplace and the damaging fall-out for all concerned. One mega-powerful individual can have terrible consequences if they behave in toxic ways. Harvey Weinstein, the founder of Miramax and The Weinstein Company, was accused in 2017 of a string of sexual assaults and harassment of women in the film industry. Colleagues and associates knowingly facilitated meetings in hotel rooms under false pretences; when complaints were made, lawyers and publicists suppressed complaints, and paid for complainants’ silence in non-disclosure agreements. “Everybody has everything to gain by staying in his good graces… He is the gatekeeper”, said Paul Feig, the director of Bridesmaids. Read more about ‘Toxic personalities: one bad apple can rot the whole barrel’ in Chapter 3 of Fix Your Team. With strong power imbalances can come pressure on less powerful people to act unethically, and to breach laws, organisational rules or stakeholder expectations. A high-profile recent example is the Australian cricket ball-tampering scandal in March this year – leading to playing bans of Australian cricket players and resignations from Cricket Australia. Cameron Bancroft had his test debut just 5 months before the fateful South Africa game. Dr Simon Longstaff’s damning report into the ball-tampering scandal described the players being disconnected from community expectations, seeing themselves as part of a “machine that is fine-tuned for the sole purpose of winning”. The report states that some players are required to “play the mongrel”. Read more about ‘Unprofessional conduct: Bad behaviour goes unchecked’ in Chapter 2 of Fix Your Team. Another consequence of a strong power imbalance is that the less powerful people are not likely to risk expressing their views, putting forward suggestions for change or speaking out when things go wrong. Have a look around your workplace: does the culture support questions, challenges and new ideas? Do you invest in testing new ideas with potential, or is everyone too busy and risk-averse? If new ideas are shut down immediately, this will not support a culture of healthy challenges to the status quo. Read more about ‘The manager’s style: it’s not the team, it’s you!’ in Chapter 9 of Fix Your Team. In considering misuse of power, we need to ask tough questions, not only of the individual who is using their power for improper purposes, but also of the social systems which allow and enable them to do so. 2. They can tend to behave in an impulsive fashion, which can lead to violations of workplace ethics. It seems that every year we see another shocking example of the misuse of power, often by men, in various contexts – religious institutions, the military, politics, universities, sports and entertainment. The contexts of unchecked power are also important. Authoritarian contexts can make people more likely to behave in ways that are against their own ethics, or to become complicit in corrupt and abusive behaviours. Dealing with these risks doesn’t require the dismantling of hierarchies, reporting lines or delegated powers. Implementing the following three strategies will help you mitigate the risk associated with power imbalance. Firstly, it requires proper checks and balances on the power of individuals. Ask yourself: If a harmful misuse of power was occurring in your organisation today, how could an affected employee bring that to your attention? Does your workplace culture support questions and feedback? Would an employee with concerns about illegal activity in the workplace genuinely trust that they would be protected if they made a complaint? Do your managers take responsibility for fixing issues, and take seriously allegations that are brought to their attention? Handling the risk of power abuses requires a clear and overt recognition that no one person is irreplaceable. No matter how much of a rainmaker or ‘talent’ they are, and no matter how long they have been at the organisation. No matter how much they are trusted by other stakeholders, and no matter how close they are to the Board Chairman. Thirdly, you must combat any contextual factors in your organisation which allow abuses of power or discourage dissent. One is a lack of diversity. Consider reviewing who has the power in your organisation. If all the senior executives are of the same demographic, there is more likely to be group-think and less likely to be challenges to unethical management practices. Are your hiring and promotion practices addressing this risk? Another way that you can address contextual factors for abuses of power in your workplace is to share the experiences of those in our companies and industries who have been discriminated against, bullied and harassed. There are various Four Corners episodes and other sources of interviews with whistleblowers and employees who have been sexually harassed or bullied. Consider sharing these as part of your professional development and ethics programs, to build empathy amongst your teams. Power imbalances exist inevitable in every organisation. Keeping in mind the risks that this can bring – and how to manage those risks – is the first step. You can also help the managers and leaders at your workplace to recognise and address the symptoms of dysfunction at work. 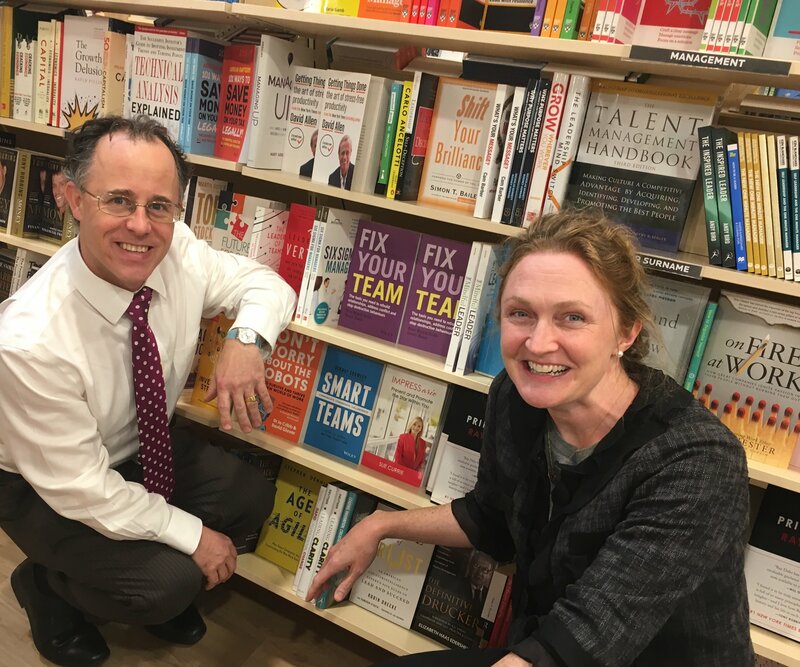 Our new book, Fix Your Team, published by Wiley describes the 12 common team dysfunctions and explains step-by-step how to fix them. Order copies for your team now! Learn more about what to do if unhealthy power imbalances are causing harm in your workplace at Rose’s free lunchtime webinar on Thursday 29 November. Register now!